A new study has been released suggesting that using cannabis as a teenager increases risk of adulthood depression by up to 40 percent. The research, which was conducted by British and Canadian scientists, comes as something of a warning shot to parents who have turned a blind eye to their children taking marijuana. The British media has jumped on the story, as debate rages on about whether cannabis should be legalized for recreational use. But does the study really show “robust evidence” that marijuana use as a minor is causing depression, and if so, is the emergence of more potent strains a factor? We’ll discuss that in this article, and also look at whether cannabidiol (CBD) treatment may help to alleviate cannabis-influenced depression. Researchers from Oxford University, England, and McGill University in Montreal, Canada, have said that cannabis is an “important public health issue,” noting the recent prevalence of stronger strains. The study, which was published in JAMA Psychiatry, considered 11 earlier studies which covered more than 23,000 youngsters. To improve the accuracy of the results, children from families with a medical history of depression were not included. They found that those who had partaken in cannabis before the age of 18 were 37 percent more likely to get depression by 35 than those who hadn’t. However, it’s vitally important that the scientists admitted their finding was not proof of cannabis causing depression, just the identification of a strong link. It would be foolish to claim that delta-9-tetrahydrocannabinol (THC), the psychoactive part of cannabis, is safe just because it is created naturally by the cannabis plant. In fact, it is well-documented that THC can have a neurotoxic effect on parts of the brain, including the hippocampus. But this was never as big an issue when THC was being taken in smaller amounts, with the regulating aspect of CBD. 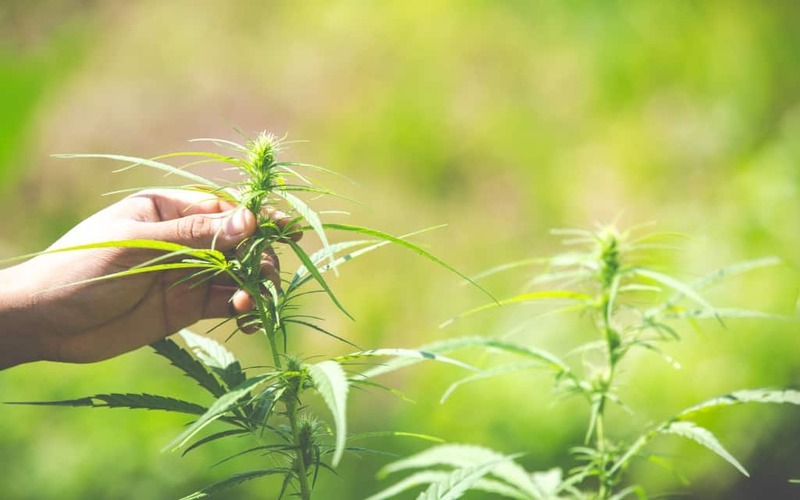 But since growers have tried to maximize the THC to CBD ratio to make more powerful cannabis for the recreational market, the balance between plant compounds has been lost. Currently, cannabis users are taking a cocktail of cannabinoids that are unrecognizable from the cannabis people smoked, even up until the 1960s. If yesterday’s weed was like a light beer, today’s is more comparable to an alcoholic spirit. And as these high-THC strains are a recent revelation, we simply cannot be certain how safe they are to use regularly, and especially by teenagers whose brains are still developing. However, much may also have to do with how teenagers are using cannabis. If doing so in a happy, positive environment, it’s unlikely to be as problematic as using it with the intention of treating low mood. The psychoactive properties of THC mean that the scenario can have a huge impact on the experience of the user. These nuances were not considered by the Oxford and McGill University, which sought merely to gain a broad perspective of the effects of youth cannabis use. Could CBD be a panacea? THC has possibly become more harmful because recreational users are no longer taking it with a sizeable dose of CBD. Therefore, suppose that cannabis has caused depression, could treatment with wholesale CBD products help to reverse the effects? One study from 2018 point to CBD restoring brain regions affected by heavy THC consumption, while another found that CBD has valuable antidepressant effects – and that it is potentially more efficacious than current antidepressant drugs. A study of cannabis users revealed that CBD could repair a damaged hippocampus, with this helping to manage memory issues and lost motivation, which could even trigger a major depressive disorder. The study looking at CBD’s effect on general depression was carried out on rodents, but showed that the cannabinoid can have an immediate and sustained healing effect on circuitry in the prefrontal cortex. Cannabis is an under-researched plant, and this means we are not clear on the long-term damage that it may cause, or on the full therapeutic value that it has. It’s critical that as more funding is made available, that scientists give equal attention to the proposed benefits and disadvantages, so that we don’t get a skewed perception of cannabis. Despite the study not proving that depression can be caused by teen cannabis use, it has shone a light on an important matter in THC. However, when discussing the rising THC content in strains, we should also talk about the reducing levels of non-intoxicating CBD wholesale.